Yes! Simply add your additional incomes, or change your payment frequency to let us know what to expect. You can do this in the income section of the app. 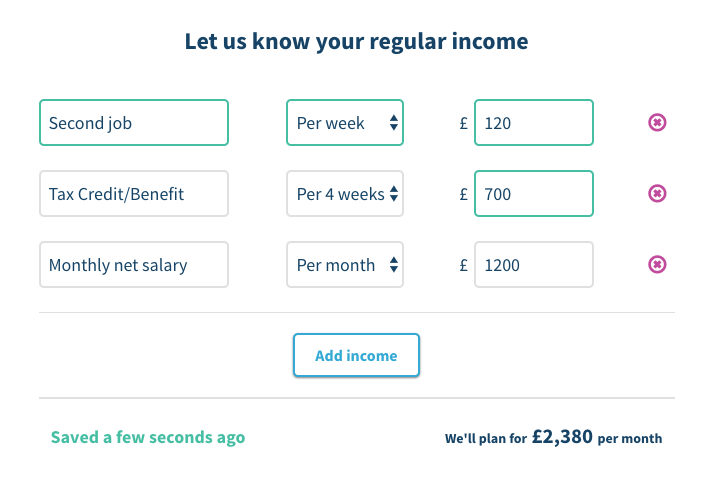 When you add these incomes we'll automatically calculate your monthly budget, so you know how much money you have to plan for. As your money comes in, we'll put this towards your commitments and weekly spending first, and once your budget is covered we'll put money towards savings for you. Let us know if you've still got questions.